If you are training your dog or if you just need that extra bit of control, but your'e concerned about the discomfort of a choke chain or slip collar this martingale style collar could be just what you're after. 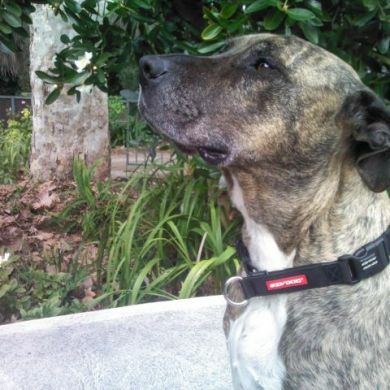 The EzyDog Checkmate collar will give your dog a clear message but the collar won't hurt your furry friend. 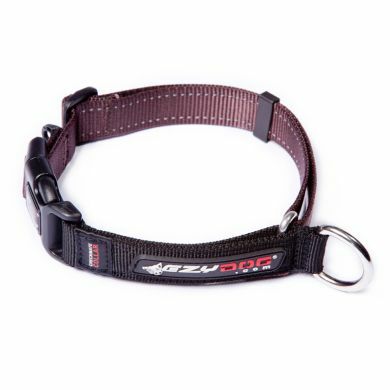 As the buckle closure is super strong, once it's adjusted to fit the collar won't slip over your dog's head. The Checkmate has reflective trim to keep your dog visible and safe for evening outings. And it's finished with a stainless steel D-Ring - great for those of us whose canines are all about swimming. Look ma no rust! I just wasn't sure if this collar would do the trick. Our boy tends to pull a bit until he settles down, but is responsive when called back to my side. I want to be gentle and not have him sit into his collar like a harness, as that is useless when training. This collar seems to give me control without the choking effect of a chain, which is exactly what I wanted. It is strong, yet yielding, so he isn't gasping at any point. I would highly recommend the EzyDog. It also looks smart too! 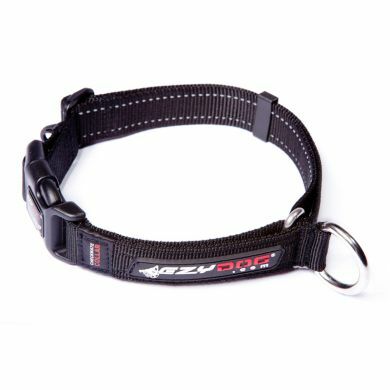 Read 6 customer reviews of EzyDog Checkmate - Martingale Collar. The average customer rating is 4.7. 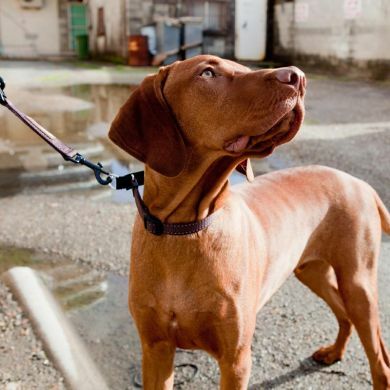 The Martingale Collar is great for controlling a dog that pulls. We have a young Murray Curly Retreiver who is very pig headed and pulled all the time no matter what we tried. After using the martingale collar she finally stopped pulling all the time. we have an exceptionally strong bull / arab mastiff which responds well to this collar, unfortunately the first ones clip literally snapped while the dog was chained and a deer ran in front of her kennel. waggle on were really great and after seeing a pic of what had happened immediately offer a replacement or credit.we took a replacement which is working well, and greatly appreciate waggles' help in the matter. 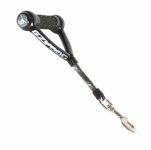 Definitely helps when training to walk on the lead. And looks great! So happy I found Waggle. 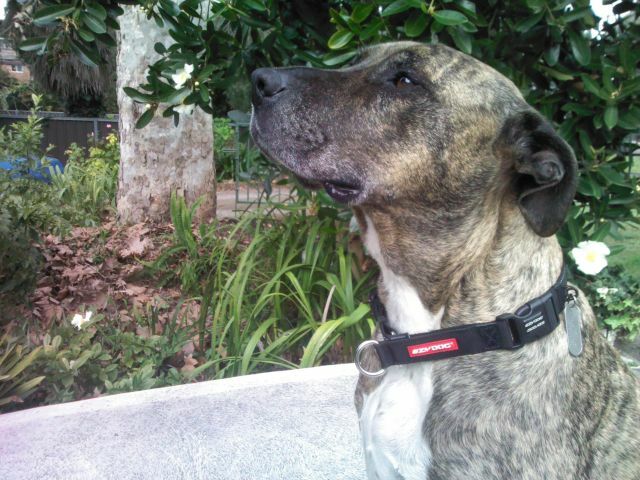 This Collar is Strong, stylish and sits perfectly on Anzac's neck for easy access and correction when elash walking. 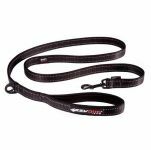 We've used check chains in the past, but perfer the Ezy Dog Checkmate by far. 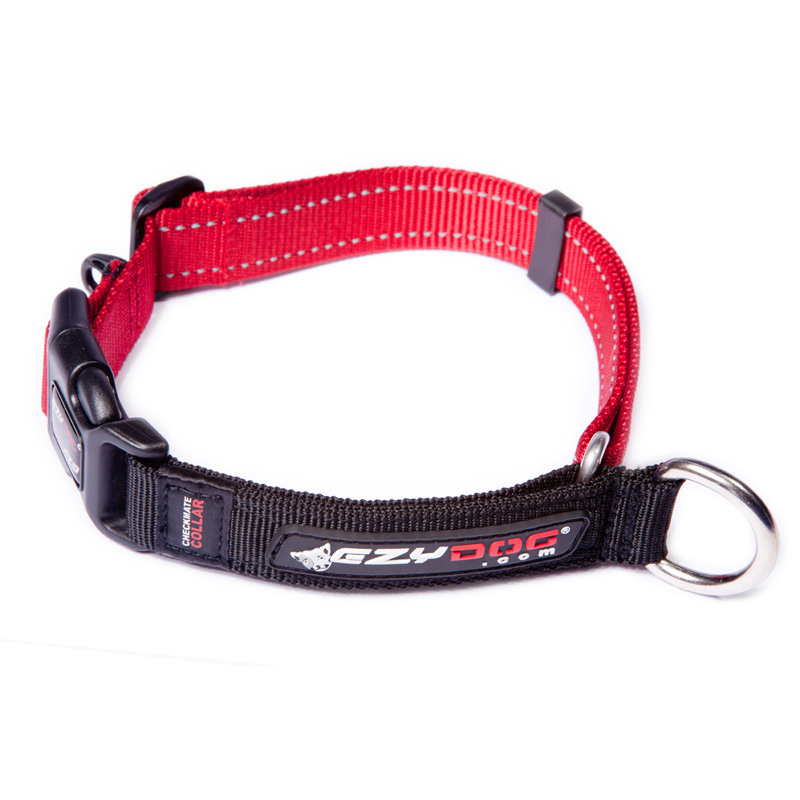 Sizing of other collars can vary when buying this sort of collar, but the Ezy dog company have the sizing down to the nitty gritty. Well done. Thanks Waggle for fantastic service and providing such great products!! 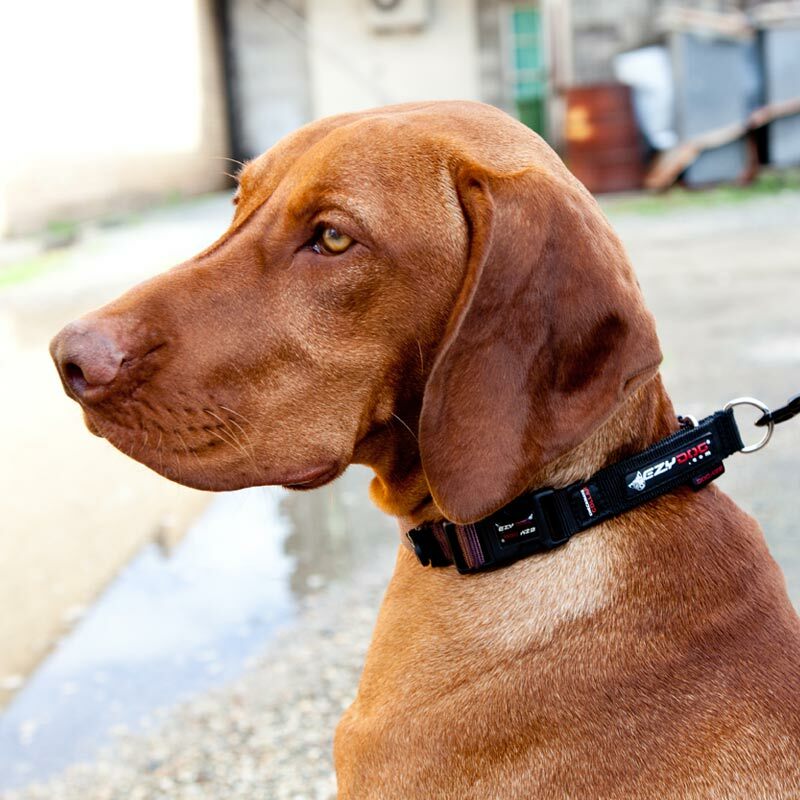 The Checkmate collar has helped reduce pulling when walking and increases control.